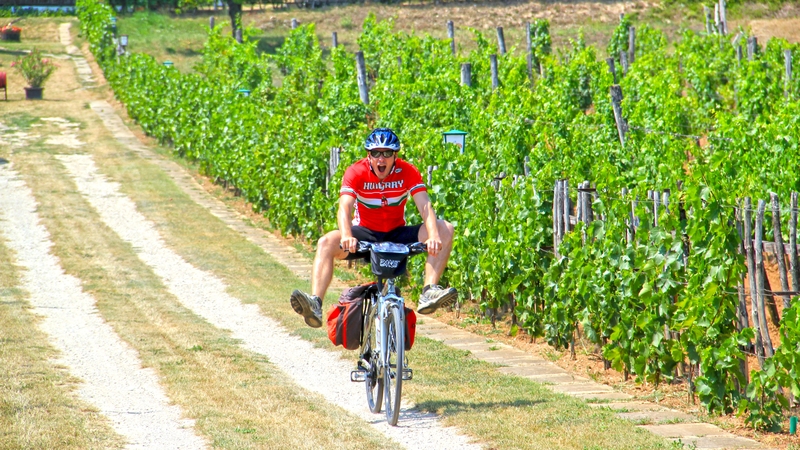 Bike and wine in Hungary? Yes! 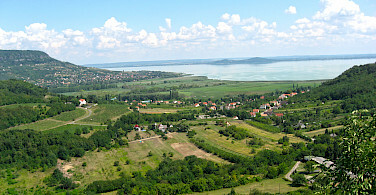 The Balaton Uplands National Park is one of the youngest national parks in Hungary. 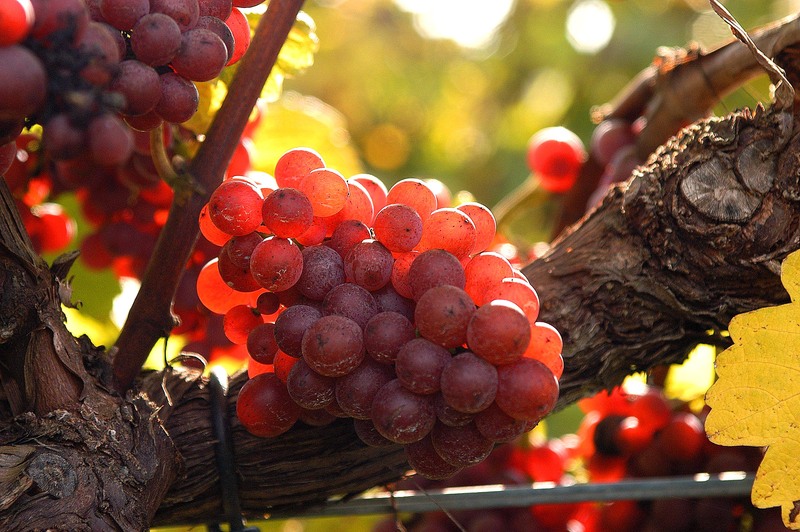 However, its rich history dates back thousands of years to when the Romans planted the first vineyards and the ancient Hungarians founded the first villages. These beautiful, historic vineyards, sandy beaches, and the beauty of Balaton National Park make this a very unique tour. 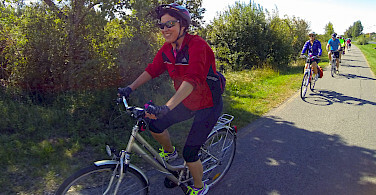 On a bike, you are transformed from a tourist, to an active participant in your surroundings. This tour allows you to choose between self-guided or guided. You can also customize, so please ask. 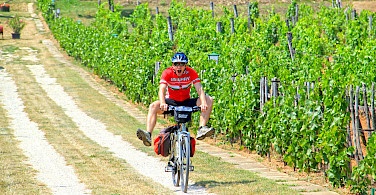 Be sure to check out our full list of bike tours in Hungary. 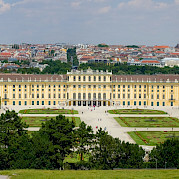 A transfer between the Budapest Airport and the city of Veszprém is included in the tour price for the guided tour. This transfer can also be ordered for the self guided tour for a supplement. Ordering the transfer is recommended due to public transportation costs and travel time. From the airport, it is best to catch a taxi if you are staying overnight in Budapest. There are fixed fares approximately 5000 HUF / person. It takes 20 minutes to reach Budapest central. First take the bus to the metro station Kőbánya/Kispest and there go to city central. Travel time is approximately 40 minutes to city central. From Budapest you can reach the starting city (Veszprém) by train or bus, but it is a pit complicated. By train go to Déli Pu. (South railway station) and from there to Veszprém. For bus go to Népliget (central bus station) and from there to Veszprém. We do recommend booking our organized transfers. Check local conditions prior to departure. Average high/low temperature for the area: April 60/41º, May 70/51º, June 75/56º, July 79/59º, August 79/59º, September 71/52º, and October 59/43º. 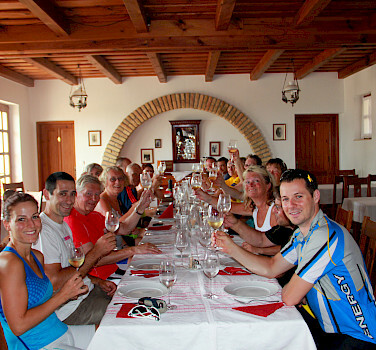 Special guided tour dates can be accommodated so please do not hesitate to ask. 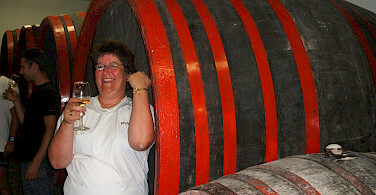 This tour is rated as easy to moderate and can be guided or self-guided. Hungary is a rather flat country with some hilly areas. The highest point is about 1000 m. Hills higher than about 200 m are locally referred to as mountains! Your route is mainly flat but you will encounter some hills, where longer downhills outnumber short uphills. You will cycle on designated bike paths (asphalt) and low traffic bicycle friendly roads (asphalt) and some good quality dirt roads. Average daily distance is 25 miles. Two categories are offered on this tour. Both categories feature small family owned hotels. The location of each overnight is carefully chosen, either close to the centers of the towns, close to the lake, or in quiet charming villages, close to the nature). We will gladly send you a sample hotel list for each category. Category A: 4 star facilities as much as possible. If the hotel is rated 3 star, you are accommodated in upgraded rooms. As well note the slightly different itineraries for each category. 7 nights accommodation in 4-star hotels (1 night in a 3 star hotel), with familiar atmosphere, high quality and superb surroundings. The first day of this cycling vacation begins in Veszprém. 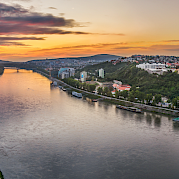 This city is often called the "City of Queens", because Hungary's first queen, Gisel, and every Hungarian queen after her was crowned here. After settling into your room, you are free to explore the city. 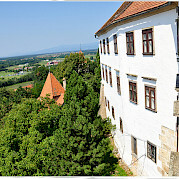 Take some time to enjoy the historical and the unique places of Veszprém before beginning the first day of cycling. 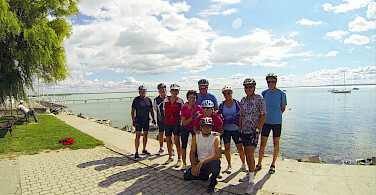 After breakfast, you will begin to cycle to Lake Balaton. 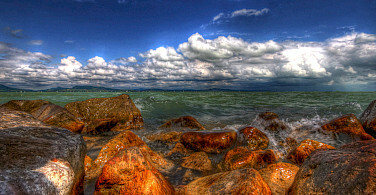 The beautiful landscape, charming villages, and the beautiful scenery surrounding Lake Balaton is a picturesque sight. 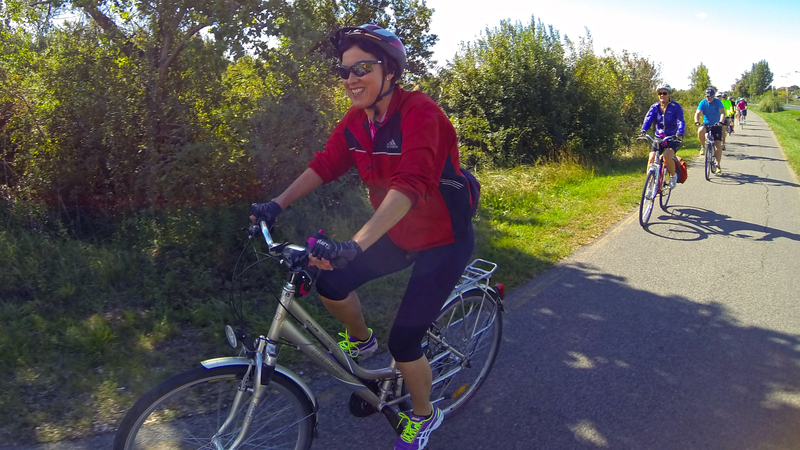 You will cycle this pike path until you reach Balatonfüred. The route changes to an old Roman road which follows the coastline. Along the route, grape fields which were planted in the Roman times, are visible. 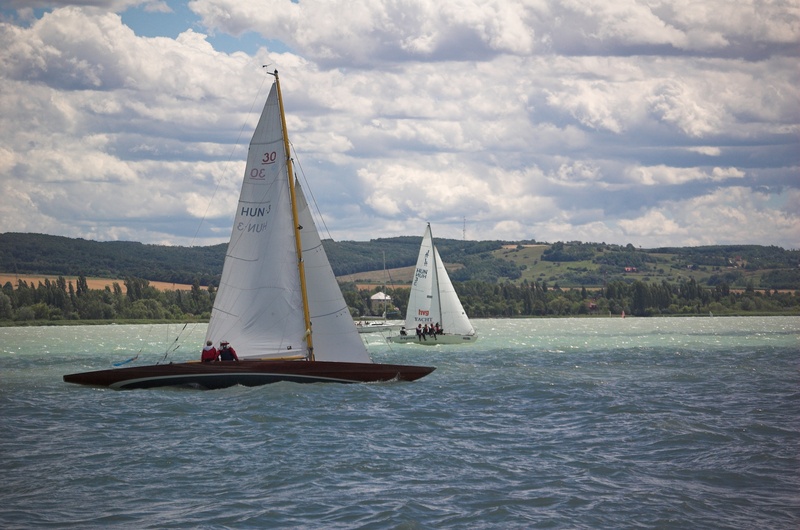 Today's route will end in Balatonfüred, the capital of lake Balaton, a city known for its history, culture, wine, and hospitality. You begin cycling to the city central of Tihany where the whole day could be spent sightseeing. Visit the 950 years old Benedict Abbey which was built at the top of the extinct volcano. From the top, the view reaches to the middle of the peninsula, the old caldera, and the Inner lake. 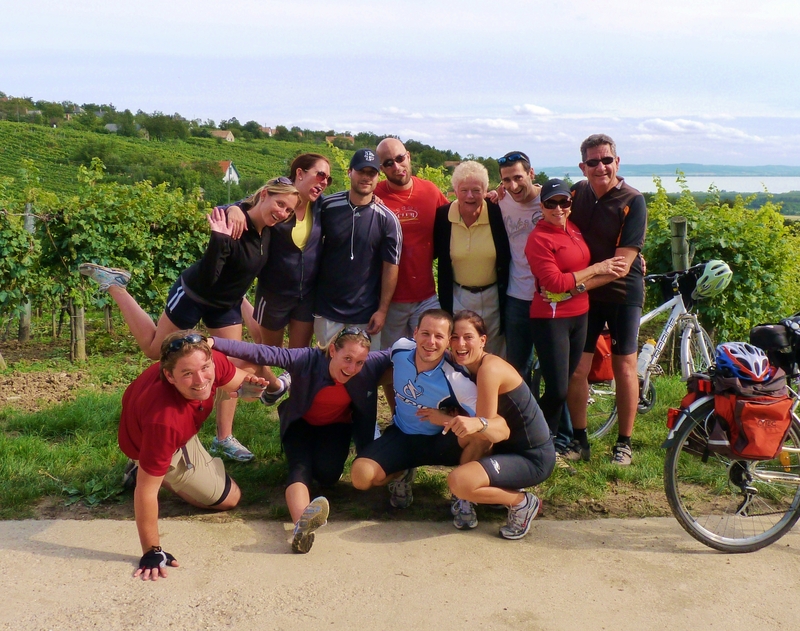 After the sights of Tihany, cycle to Koczor Winecellar for lunch and winetasting. Climb up to Tótvázsony at the end of the day. 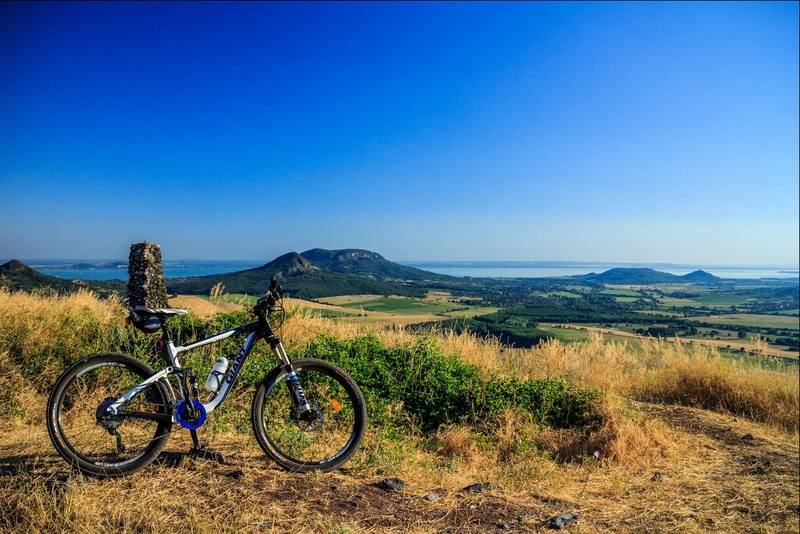 Cycle across the land of extinct volcanos, the so called vitnessing mountains which are in the heart of the Balaton Uplands National Park. Today you'll ride along hidden roads which go trough charming little villages like Köveskál, Szentantalfa, Óbudavár. Lunch & winetasting at the excellent Gergely Winecellar. 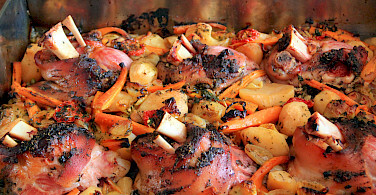 After lunch you'll continue on until reaching the old wine region, Badacsony. On this day, visit the Szegedy Róza House and Museum in Badacsony, in which you can see how people lived in the XIX. Century in this area. 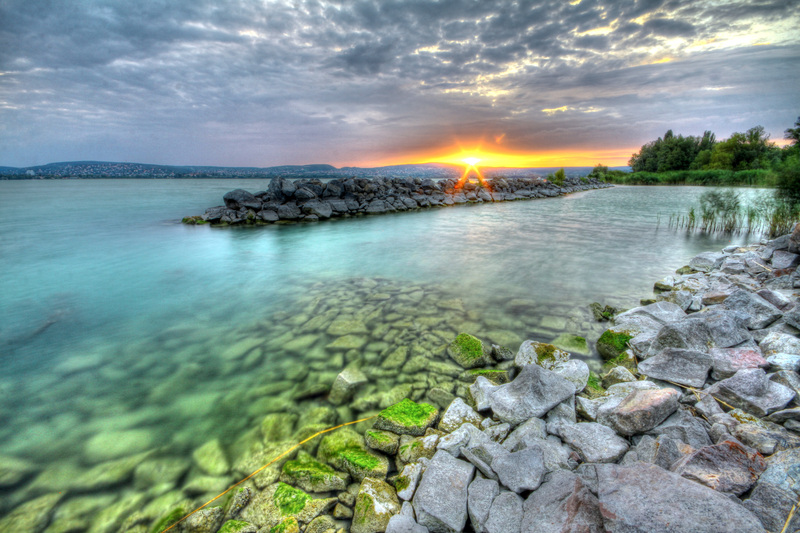 After this visit, use the Roman way and the Balaton cycle road to reach Szigliget. In Szigliget, visit the 250 years old Eszterházy Wine museum and climb up to the Castle which was used in the Türkish war in XVI Century. Today you'll follow the bicycle road which goes along the coast. There are multiple opportunities to stop for a swim. A cold beer or ice cream helps you press as you pedal closer to Balatonfüred. 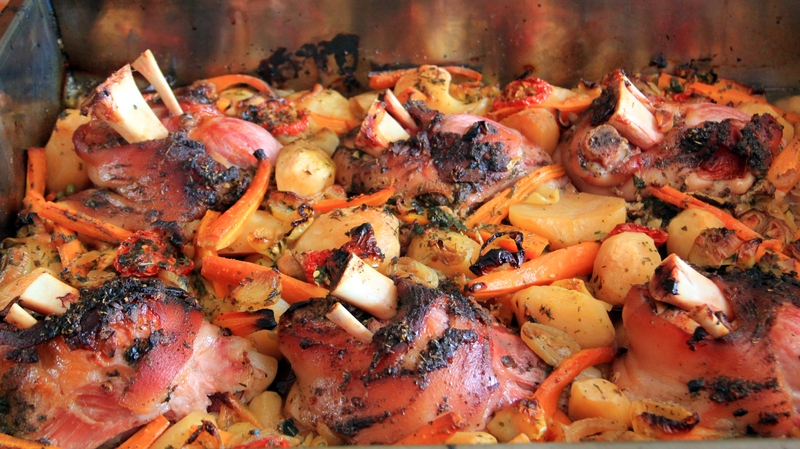 The picnic lunch is again a homemade Hungarian dish by chef Joseph at Wineflowers Winecellar. The whole day is about cycling, sunshine, and the lake. 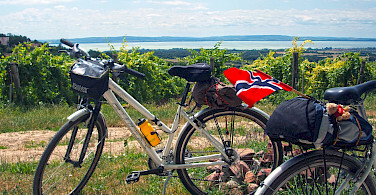 On the last cycling day, you use the Balaton cycling road which leads next to the coastline. 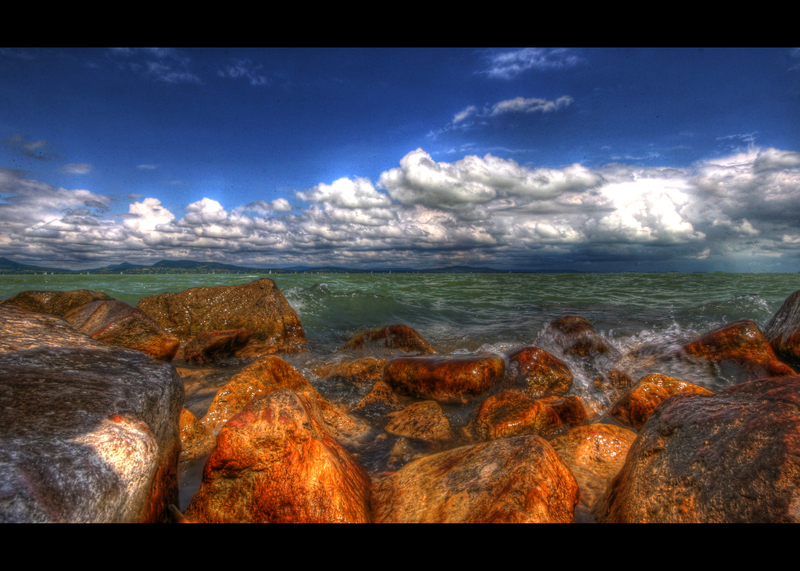 You will have the opportunity to stop as many times as you wish for a refreshing swim or an ice cream. Cycle along the embankment from Balatonalmádi and take in one last view of the lake before turning in the direction of Veszprém. This day is an ideal cool down after the whole bike tour. 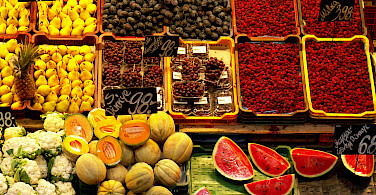 After arriving in Veszprém you can explore or do a little shopping. 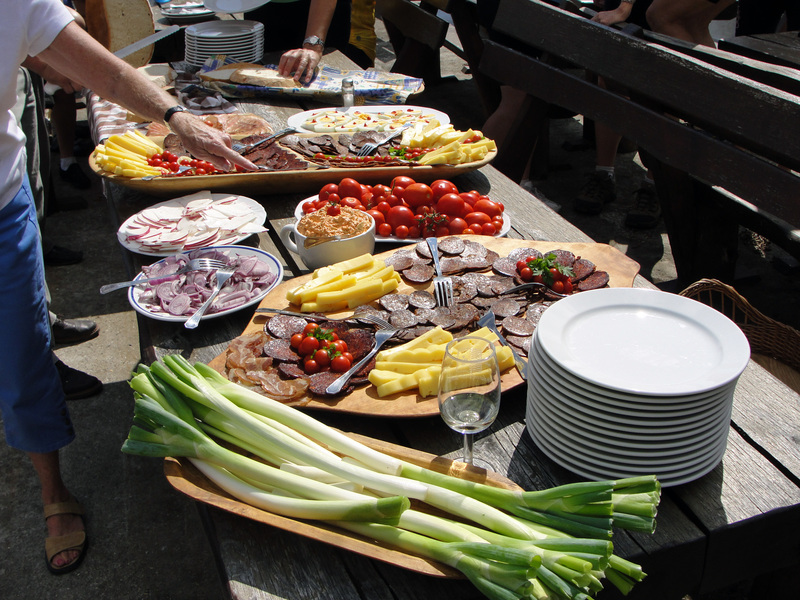 You cycling tour ends after breakfast. Your first day starts in Veszprém in the City of Queens. The accomodation is in a relaxing place nearby the Castle and the Old Town. After a refreshing shower take your camera and discover the Saint Michael Chapel wich is famous because our first queen Gisel and after Her every hungarian queen were crowned there. Enjoy the historic places and the unique atmosphere of Veszprém and discover this lovely town before the first cycling day. 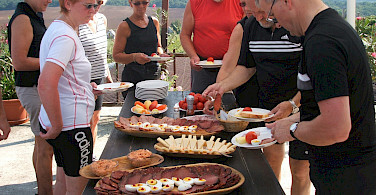 After breakfast, your cycling begins in direction of the lake Balaton. This day is a special one because this is the first meeting with the idylic landscape, the charming villages and the lake. Until Balatonalmádi , you will cycle on a dedicated bike path. Afterwards, you cycle the old Roman road which follows the coastline. 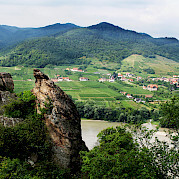 Vineyards dot the landscape. 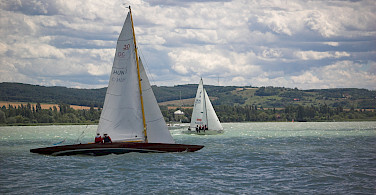 The accomodation will be in Balatonfüred the capital of lake Balaton. 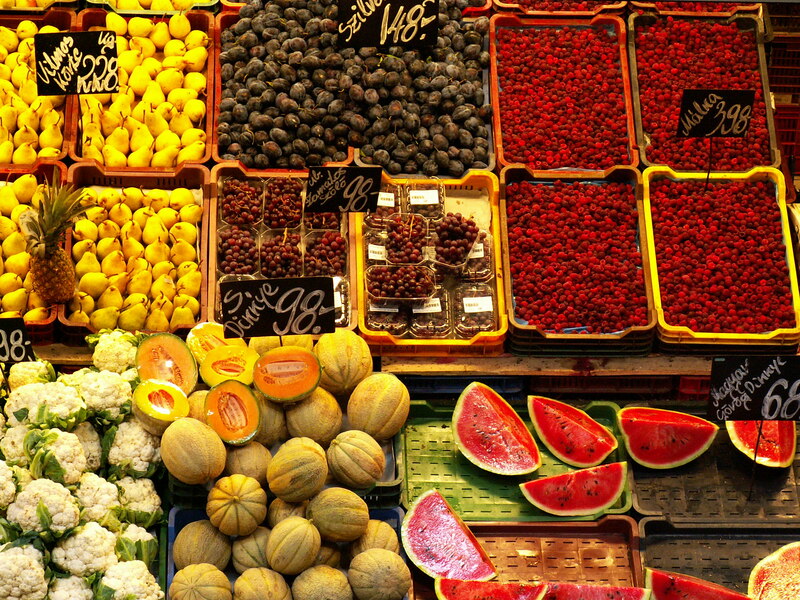 The most common words used to describe this city are history, culture, wine, and hospitality. You continue to follow the coastline westerly, again on a dedicated bike path. You can stop for a swim almost anywhere.. This day is about the nature, sunshine and the water. The accomodation will be in Badacsony in a charming pension at the foot of Mt. Badacsony. 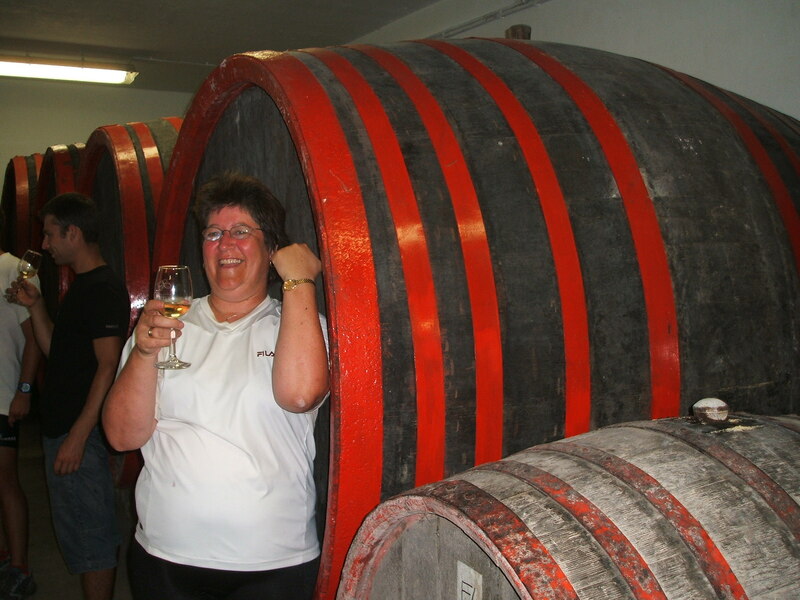 This wine area is the oldest in hungary and the wines are excellent with the local meals. On this day you visit Szegedy Róza House and Museum in which you can see how people lived in the XIX. Century in this area. 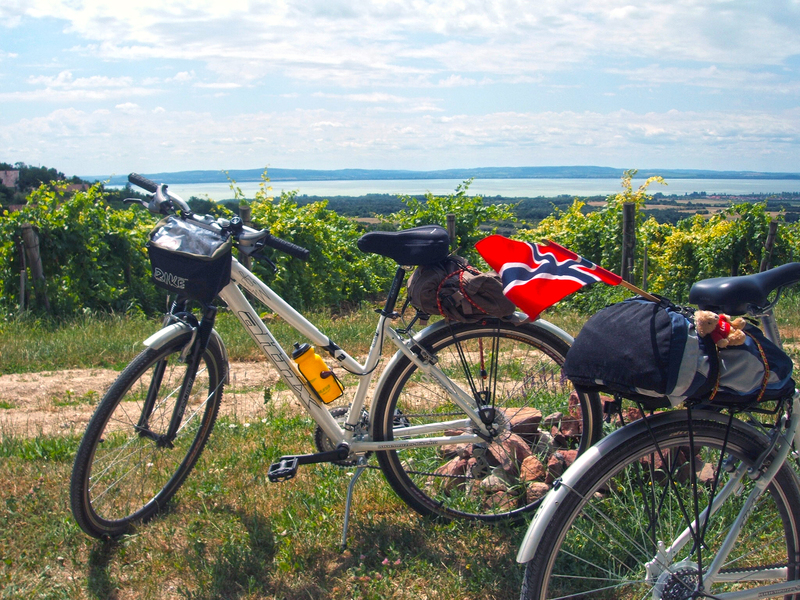 Afterwards, you follow the Roman way and the Balaton cycle road to reach Szigliget. In Szigliget you visit the 250 years old Eszterházy Winemuseum and climb up to the Castle which was used in the türkish war in XVI. Century. 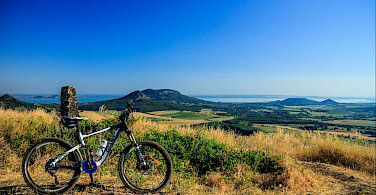 From here you pedal across the land of extinct volcanos, the so called vitnessing mountains which are in the heart of the Balaton Uplands National Park. 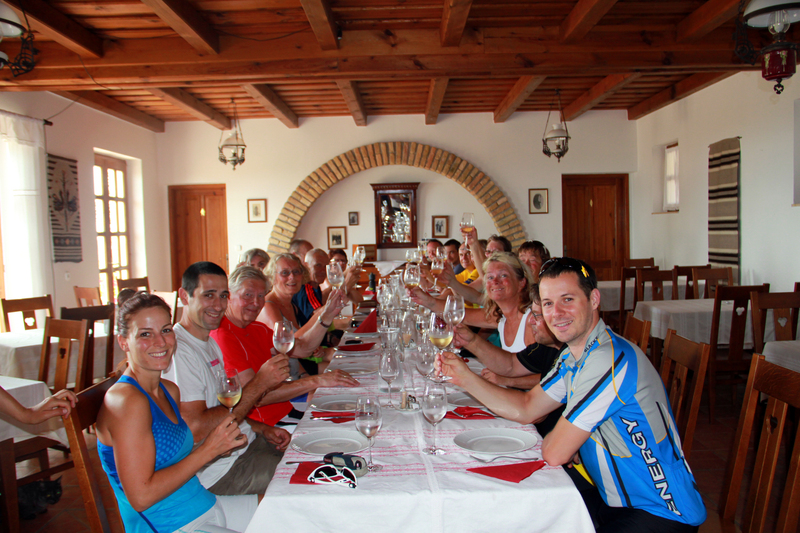 You will cycle trough the oldest hungarian villages and your accomodation will be in an authentic village in Szentantalfa. Following remote and quiet roads, the route leads throughcharming little villages like Köveskál, Szentantalfa, Óbudavár. 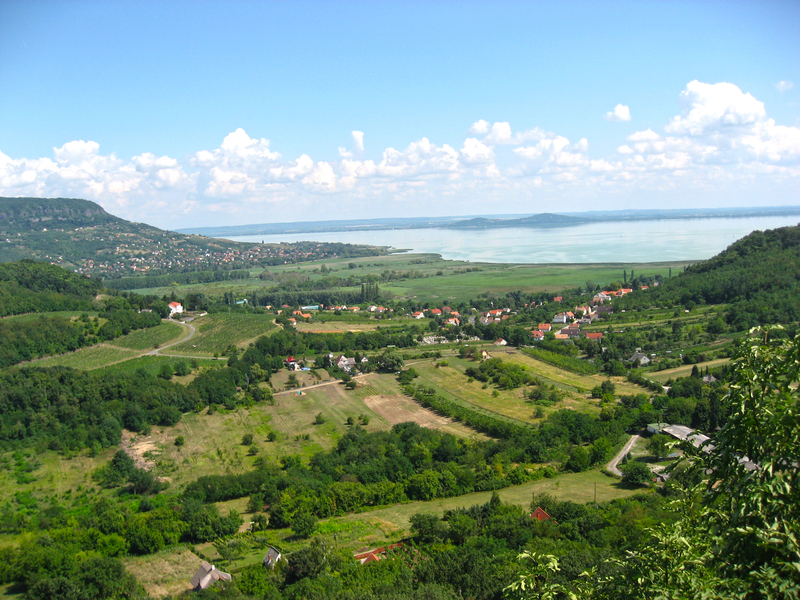 You discover the beauty of Balaton Uplands National Park and the idylic landscapes dotted with vineyards. 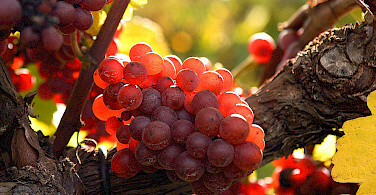 You go through the Nivegy valley wine area which played an important role in wine export in the roman times. You end you day in a quiet hotel in Tótvázsony at the foot of Bakony mountain. You descent to Pécsely and Aszófő to reach the city central of Tihany. You visit the 950 years old Benedict Abbey which was built on top of an extinct vulcano. From here you can enjoy the view down to the middle of the peninsula to the old caldera and the Inner lake. 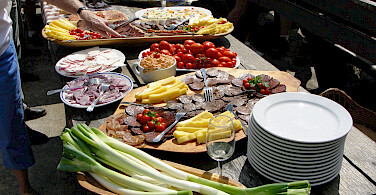 After the sights of Tihany, the route leads to Koczor Winecellar for a picnic lunch and wine tasting. After lunch the accomodation in Balatonfüred is just 25 minutes away. PLEASE NOTE THAT THE ITINERARY IS SUBJECT TO CHANGES BASED ON HOTEL AVAILABLITY AND LOCATION. This tour is run by Vinociped.